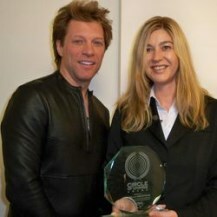 We know that it was nearly impossible for Journalists or Sponsors to get a meeting with Jon Bon Jovi during this Tour. 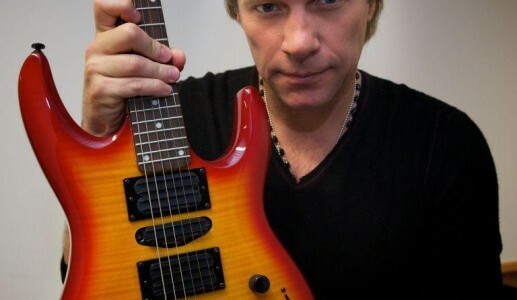 So it is a big honor for us – and motivation for our Project too – that Jon supported us! Jon, YOU ARE OUR HERO! Words cannot express what your support means to us! During the shows he always know that we’re there and that’s the result of the YOUR support. We want to thank everybody who show our Signs, Balloons and Beach Balls! 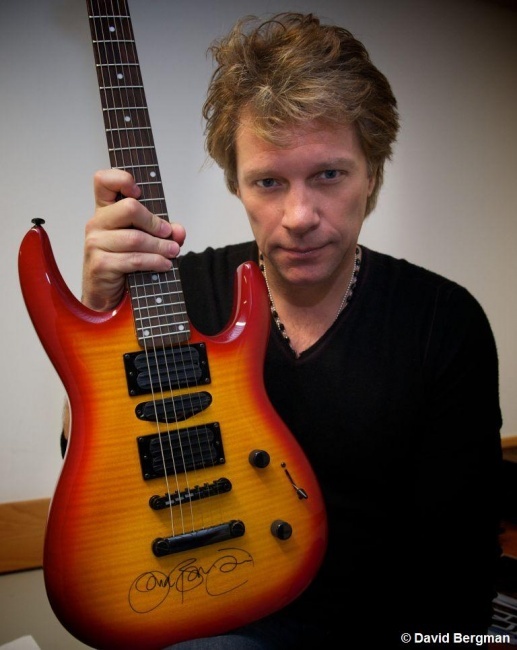 We’ll put the guitar in a public auction soon! THANKS all the Supports and especially to YOU Jon for your incredible support! Also a special thank to Universal Music!